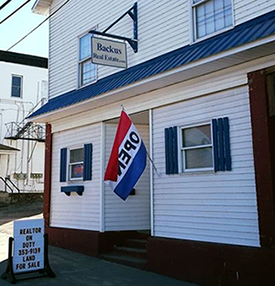 Backus Real Estate is a full Real Estate Brokerage, offering Sales (Residential, Investment, Commercial, and Land acquisitions), Property Management, Rentals and Leasing services. Our Team has grown & so has our Agency. We now Have two office Locations. Our Original office located in Chateaugay NY, (518) 497-7030 & our second and newest office, located in Mooers NY (518) 204-4061. Now we can service a larger area in Franklin & Clinton counties. "Helping buyers & sellers achieve all their Real Estate Goals". If you have any questions on any of the MLS listings, please don't hesitate to contact us. Thanks again, and we hope to hear from you. Thanks for visiting our website.